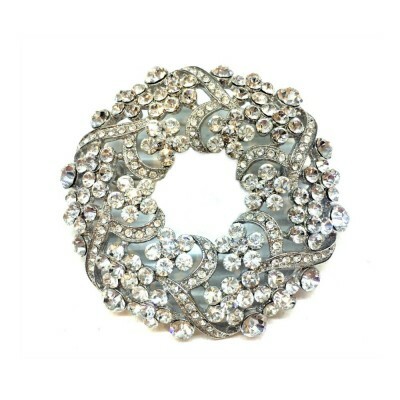 The Zara bridal brooch is a stunning piece for weddings and other special occasions. A statement item that is perfect for adding sparkle and a vintage theme to a bridal gown Also suitable as a hair accessory. Features an intricate vintage-leaf design, encrust.. 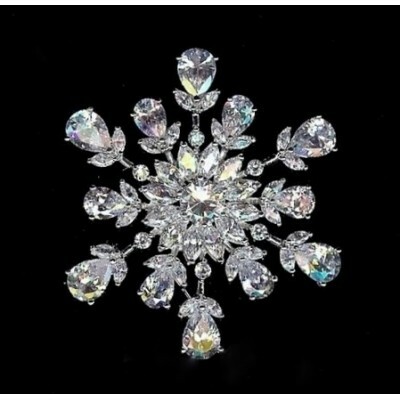 The Kayla bridal brooch is a sparkly bridal or special occasion brooch with a beautiful vintage feel. Using sparkling Swarovski Crystal stones, this piece can dress up even the most plain of outfits! 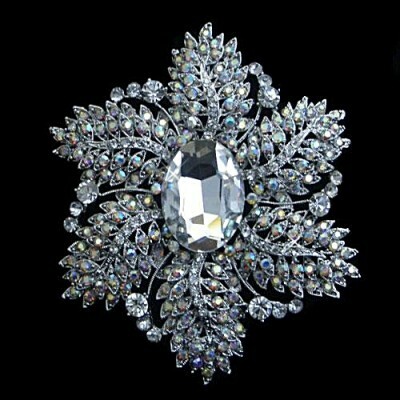 You can wear this brooch on a bridal gown, on a winter coat or cardigan, or you can pin it easily.. 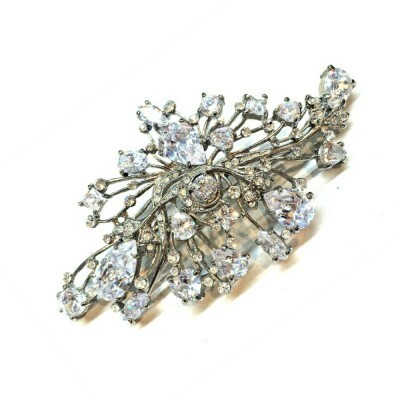 The Alodie bridal brooch will provide an elegant finishing touch to your vintage-themed wedding look. A larger sized design, this bridal brooch features dozens of glittering Cubic Zirconia stones with several larger accent stones throughout. This piece has a silvery/antique finish that..
Our bridal brooches provide a tasteful finishing touch to bridal gowns, bridesmaids dresses, Mother of the Bride outfits, or any special occasion attire. Our bridal brooches range from the finest vintage-inspired designs through to bold, attention-grabbers. The wedding brooches we bring you are designed to be easily adaptable to our entire bridal jewellery and special occasion jewellery collection. The collection uses a variety of premium materials such as sparkling Swarovski Crystal, luxurious freshwater pearl, and the best life-time platings to ensure repeated wear for many years to come.